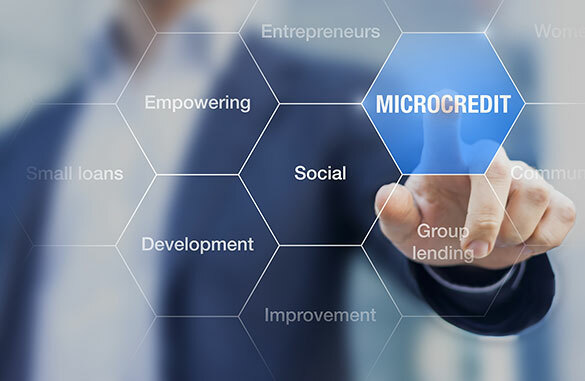 The microfinance sector in India is one of the largest financial access movements in the world. The sector in India has been constrained by the lack of access to a diversified source of growth capital, especially with a medium to long term tenor, which in turn can be attributed in part, to a nascent finance market-place. The Fund identifies this market need as an opportunity to channel institutional domestic and offshore capital to the emerging asset class of Indian microfinance debt instruments. Microfinance institutions in India reach out to more than 30 million borrowers. However, when compared to the number of unbanked population, the outreach is still small. As per the World Bank, only 35 per cent of the adult Indian population (defined as 15 years of age and above) has a formal bank account and only 8 per cent borrow form financial institutional sources. In this respect, the provision of growth capital in the microfinance sector can materially alter the level of financial inclusion in India. The progress towards financial inclusion has important implications for poverty alleviation given the positive externalities to provision of financial services. The broad objective/purpose of the Fund is to promote financial inclusion in India by facilitating development of the Indian microfinance sector. The Fund seeks to achieve this by investing in various securities/instruments of microfinance institutions and its underlying assets. Providing long term growth capital in the form of mezzanine debt, medium to long term senior secured debt, and other permissible securities in accordance with the Regulations which will fill the existing gap in the capital structure of Indian microfinance institutions. The Fund helps in the development of bond markets for Indian microfinance institutions. The Fund seeks to enable diversification by way of both funding sources and type of funding for Indian microfinance institutions. Want more clarity on IFMR FImpact Investment Fund? Get in touch with our experts if you have any inquires about our services and products. © 2018 NORTHERN ARC INVESTMENTS. ALL RIGHTS RESERVED.